Your event online. 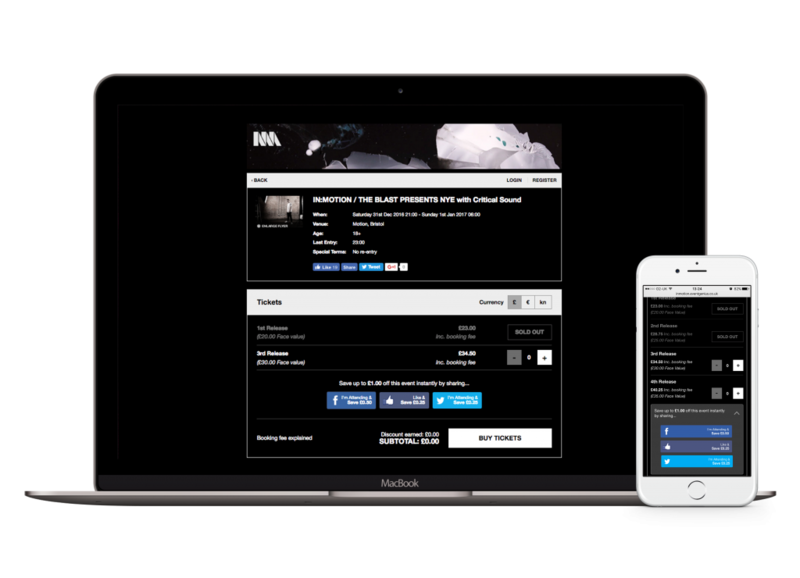 Sell with Ticket Arena, on your own site, monitor performance and more. Boost sales. Collect customer data, activate rep selling, create social incentives and more. Increase efficiency. Scan tickets, synchronise sales data, take card payments, go cashless and more. Reps and affiliates reimagined. 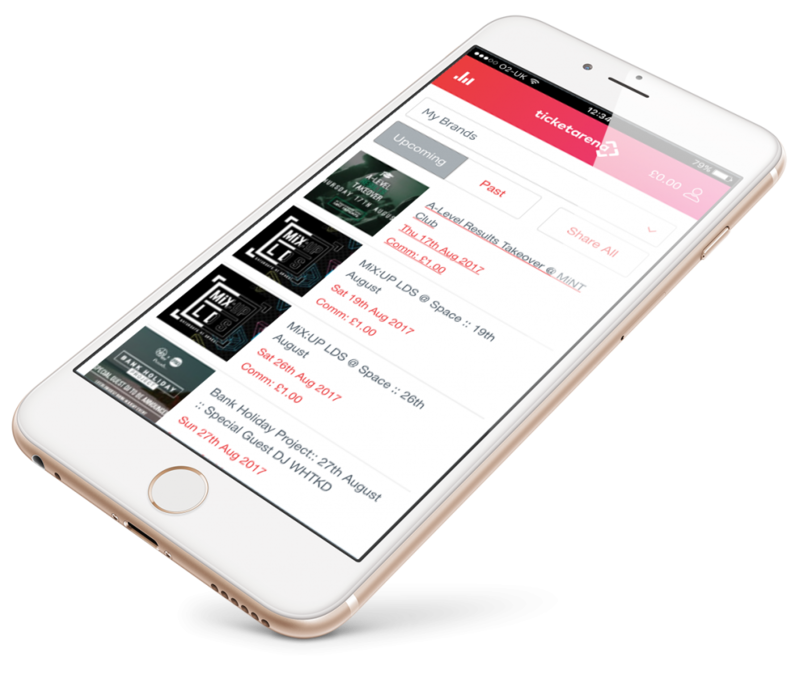 Ambassador App is a paperless solution that makes it easy for your reps and affiliates to share events and earn commission selling tickets via WhatsApp, Facebook, Twitter, SMS or Email. With no additional administration or accounting, the app provides organisers with full tracking of all views, clicks, shares, sales and sales generated. 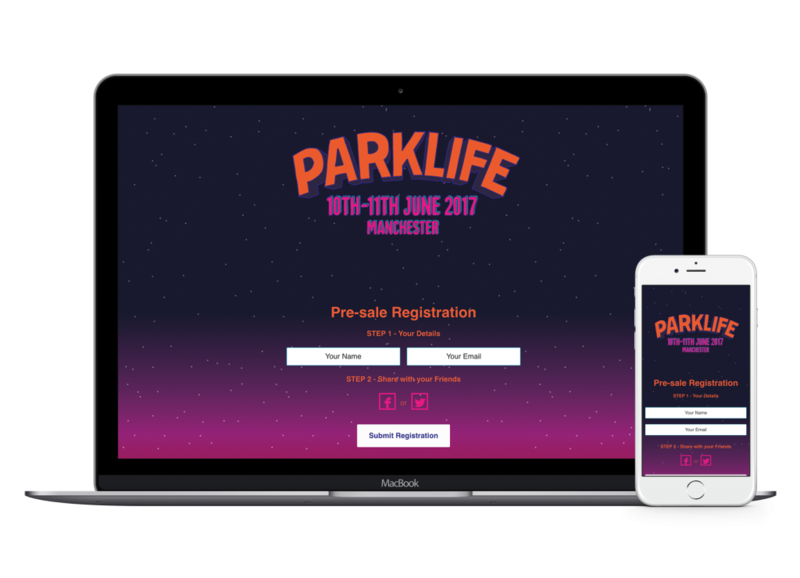 Optimised for mobile and fully responsive – our Pre-Sale registration pages can be customised to match your branding and are a proven method of building interest in your event. By requiring customers to provide an email address and share your event socially, the module helps to build organic reach and collects up-to-date customer data that increases the effectiveness of your marketing and social advertising efforts. Reward customers who share your event on Facebook or Twitter with a small discount that can be configured using our social incentives module. Each discount is limited to single use and automatically integrated into your ticket revenue information so you know exactly how much you’re spending on marketing your event. Create and manage discount codes and coupons for your event. Intelligent discounts allow you to create discounts based on ticket type, number of tickets ordered and more. Automatically generated and sent to customers who began but failed to complete an order for your event. These marketing emails will, on average, convert to sales 25% of the time. Advertise to people viewing your events for free with custom banner adverts shown all across the web, including Facebook, the Google Display Network and partnered sites like DJ Mag and NME. Take advantage of our above industry-average open rates and have your event included as part of our ongoing email marketing plans that target specific locations, artists and genres. Our large team of talented and knowledgeable writers are on hand to produce news, previews, reviews, interviews, dedicated brand pages and other editorial features to boost interest in your events. Up sell extras, after-parties, related events and more with automated email campaigns triggered when customers purchase tickets to your event. Want to reach out to your customers via SMS for your next announcement or on sale? We can take care of this for you. Receive automated reports straight to your inbox with vital box office which you can then use to inform your marketing campaigns and strategies. Promote your events to our millions of monthly visitors on Ticket Arena by taking one of our banner advertisement options.